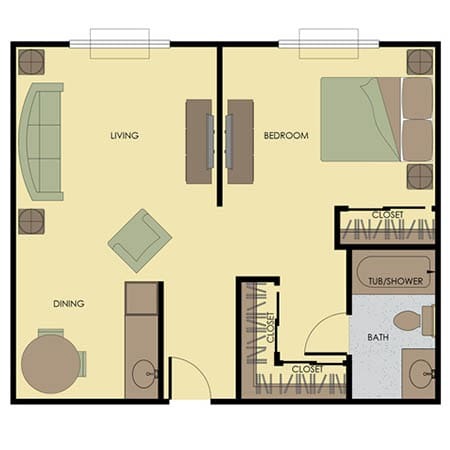 Tri-Cities Retirement Inn offers a variety of floor plan options. 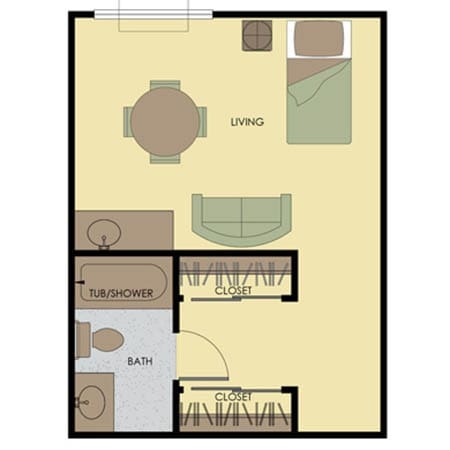 Community members can choose between private one bedroom floor plans with private bathrooms and kitchenettes or semi-private companion suites. Living in any apartment opens access to all of the entertainment options and amenities offered at Tri-Cities Retirement Inn.